PhilAm, Quezon City, Philippines. 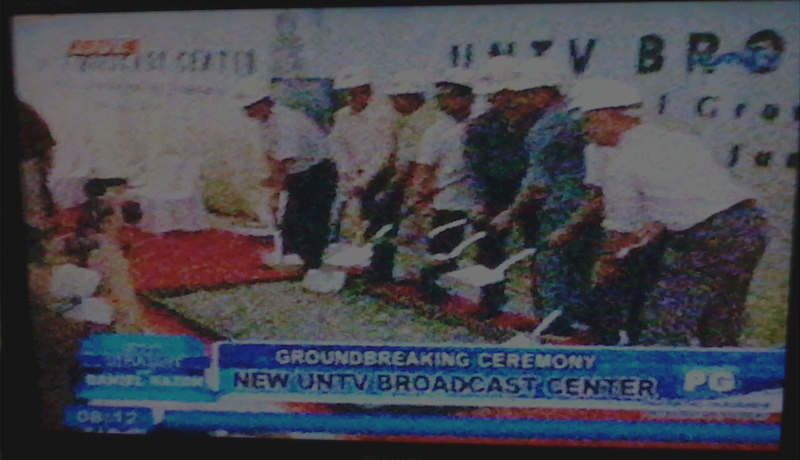 The 2nd day celebration of UNTV Big 10 started with the groundbreaking of the new UNTV Broadcast Center with its state of the art equipments and with a vision to make an “iconic” building and to be a business district. 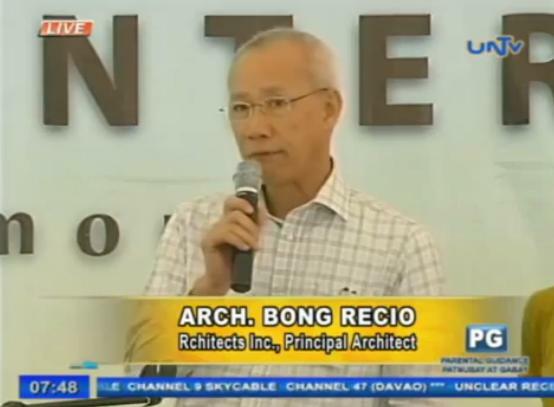 Bong Recio, Principal architect of Rchitects Inc. in his speech said that they are using the latest technology Newforma software to their projects and mixed-use, high-rise building designs. 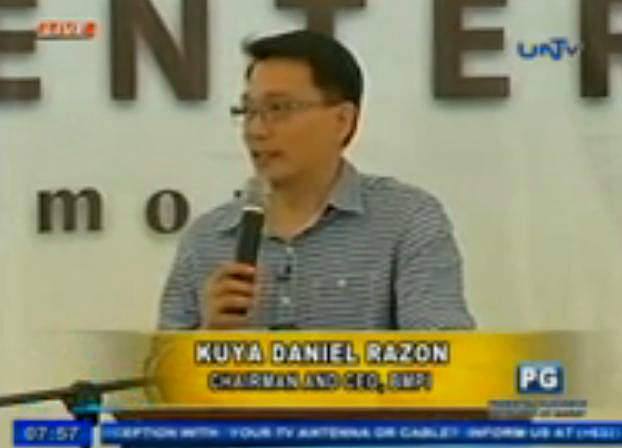 The station, UNTV, has already 1,334 satellite centers all over the globe. “… at night, it will become the iconic center for this area of Quezon City.” — Architect Bong Recio, Principal Architect of Rchitects Inc. The 18 leveled building will be the tallest building with three disks on top that will cater a restaurant, an AM and FM booth and the top disk as a viewing tower. The tower will be fully clad with LED lights and at night, the building would illuminate and alive with lights. Advertisements and different projects can be placed in the building. Being the business center of Quezon City, this building will have a 360 degrees view of the Metropolis. 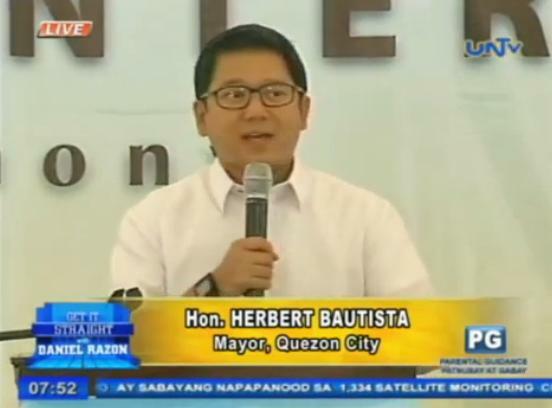 The event is graced by Quezon City Mayor Herbert Bautista, Mr. Larry Henares, Mr. Atom Henares, the press people and other charitable institutions and government agencies. Aside from the continued free services to the elderly from different volunteer groups, the people who attended this occasion was presented with a mini concert from various artists in the film and music scene. Imelda Papin, Heber Bartolome, Coritha, Brownman Revival, Sheryl Cruz, Kyla, Juris, Jay-R, Jovit Baldovino, Christian Bautista, Bugoy Drilon, KZ Tandingan, Liezel Garcia, Shanne Velasco and Beverly Caimen with special guest Rochele Pondare. The celebration finishes off with the launching of the UNTV Radio 107.5 FM. Formerly NU 107 and later changed to 107.5 Win Radio, and now, the official radio station of UNTV Channel 37. Quezon City, Philippines. ElderPowerment is this year’s #UNTV Big 10, Bigger, Better, Broader theme held in two venues – the World Trade Center and at the Philippine Trade Training Center in Pasay City. UNTV’s ‘Caring for the Elderly’ campaign won Best TV Public Service Announcement of the 22nd KBP Golden Dove Awards. One-Stop Shop that our elders can avail on free legal and document assistance like ID processing, GSIS and SSS; medical and dental services which is provided by the volunteers from different fields. Mr. Daniel Razon believe that age is not a hindrance to make a living. These jobs were specifically for their age and still attain productivity. Today, home for the elderly had been built in different places to accommodate far places and as far as other countries like Sao Paolo, Brazil from its main location in ADD Convention Center in Apalit, Pampanga. One of the stations program is to make the dreams of our fellowmen come true by assisting them financially to start a small business. 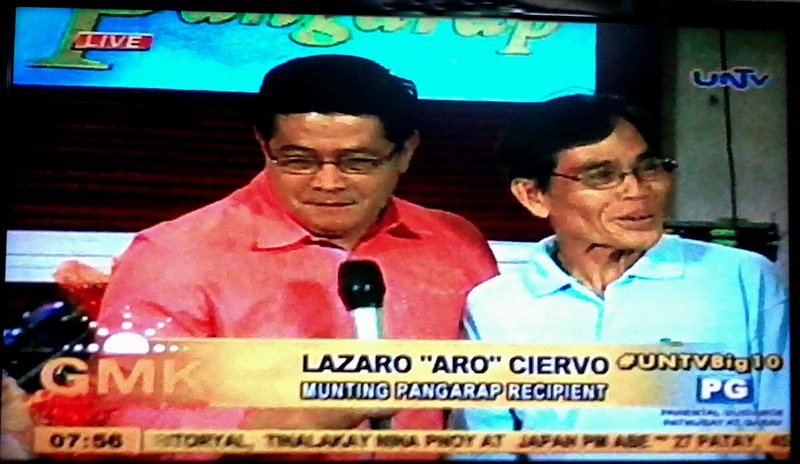 One of the recipient is Lolo Lazaro “Aro” Ciervo, not only for himself but particularly his two other siblings that received this gift, presented by Bro. 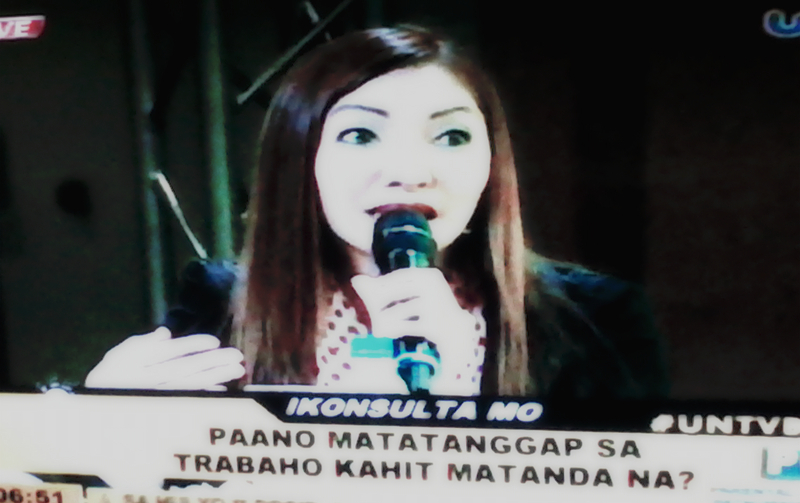 Danny Navales of Ang Dating Daan. A small business that would mean a lot for Lolo Aro. With the partnership with DFA, PhilPost, PVAO, GSIS, SSS, PhilHelth, OSCA and DSWD made the event successful. One of the supporters of this occasion is the Presiding Minister of The Members Church of God international, Bro. Eli Soriano who shares the same vision since the beginning. At an earlier part of the Program, a discussion about how to deal with the elderly and what to do to help them to their special needs as volunteer doctors and different medical practitioners gathered for this special event for our elders. 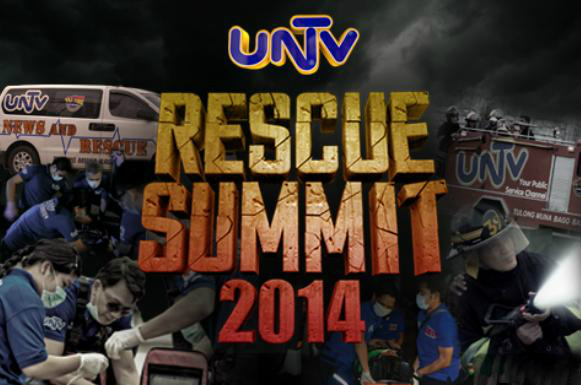 Aside from the Elderpowerment, UNTV Rescue Summit would also educate our fellow Filipinos what to do in case of an unexpected calamities and eventualities. This would also showcase the different rescue vehicles that is available in times of catastrophe. 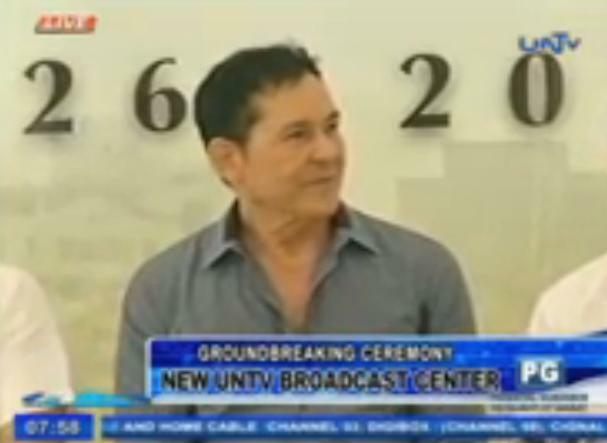 An announcement is also made for the groundbreaking of the New UNTV Broadcast Center at the heart of Quezon City. Will the AFP respond in the second game? Pasig City, Philippines — The first tap of the ball goes to the PNP Responders as the second game at the Ynares Sports Arena is once again attended by the supporters of both teams. The first quarter is a close game fight with a 19-16 score in favor of the PNP Responders. Harold Sta. 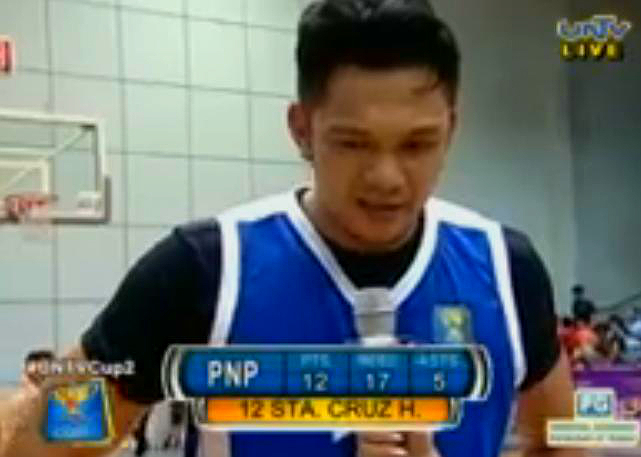 Cruz had been a factor for the PNP’s team’s stability in terms of defense inside the basket. The defense force of the Responders plays a critical factor against the Cavaliers. Forcing AFP to play outside the 3 point area wherein the Cavaliers lost its flow of shooting range. They took advantage to play a man to man game. Rebounders for Cavaliers injured their scoring and committed a back to back lapse and forced turnovers in the 3rd and 4th quarter. Cramming for the ball of the PNP and a superb defense of the Responders, as Yanquiling played as the stopper for the Cavaliers’ running game. The collaboration of the coaches and players’ strategic play made easy for the players to find an open spot to go for the score. The offensive play of the AFP Cavaliers is low with its impatient players under the basket. Boxing off the ball is the main problem of the Cavaliers. Their transition game and inconsistent shooting range outside and the lack of scorers under the basket paved way as the Respondents took advantage to a back to back score. Through end of the second half, 33-28 as the PNP Responders scores ahead of the Cavaliers. In the first minute of the 3rd quarter, the Cavaliers had sliced the lead of the Responders by one point forcing a turn over and another at the transition play of the Cavaliers. AFP’s running game is answered by the Cavaliers and converting every play into points. 2 minutes in the end of the 3rd quarter, the 3 point shot by the Cavaliers is quickly answered by a quick lay-up by the Responders; ending in a 41-41 score at the end of the 3rd quarter crunch game. Eugene Tan fires a 3 point shot at the 4th quarter. But De la Cruz blasted a critical 3 point shot and an unconverted 3 point shot attempt by the Cavaliers. 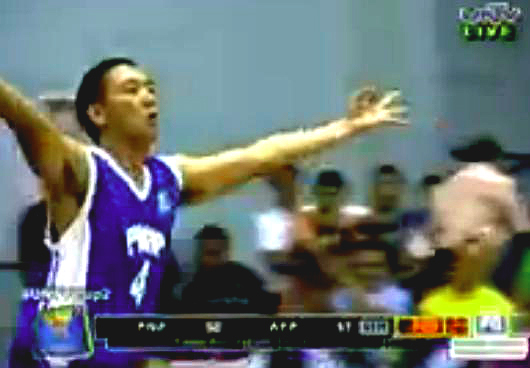 Abaya of the PNP snapped a 3 point shot basket leading them to 5 point lead, 42-47 in favor of the Responders. A short jump by Casulla cuts the lead but the fast break offense of the Responders ignited as an unselfish pass of Japhet Cabahug for an easy 2 for Abaya and Casulla cut the lead by 3. But the unstoppable Ollan Omiping blasted an important 3 point shot for a 6 point Responders lead. Coming from a 9 minute time out, cramming and uncoordinated play for the AFP lead to a disastrous game for the Cavaliers and a total of 14 fouls for the team Cavaliers. An assist and a fake pass of Cabahug resulted an easy 2 to Misola for the Responders. The corner play of the AFP Cavaliers had anticipated by the PNP Responders for a fast transition, thus, frustration of the AFP Cavaliers resulted the 3 point shot of Ollan Omiping – 2 tripples in the 2nd half. Zuniga tried a 3 point clutch but the ball did not score. Harold Sta. Cruz with a free shot and a 15 point rebound. Last two minutes play with a score 66-54 lead by the Responders. 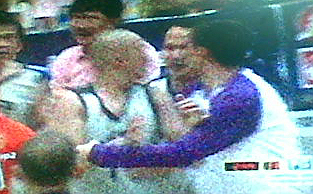 Cabahug with 5 assist and less than a minute, Cabahug scored another point and a free throw. 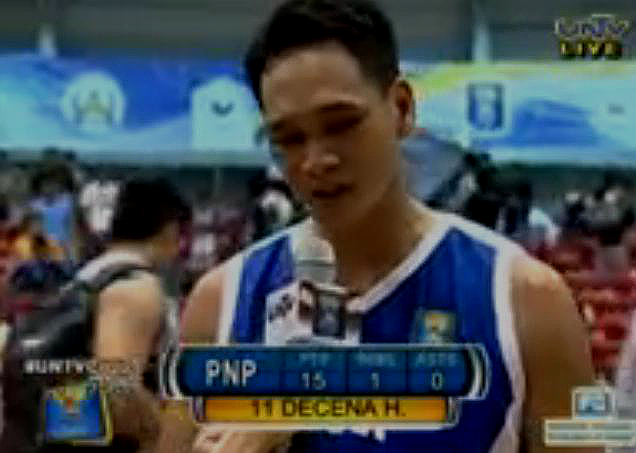 The game ended with a score of 74-64 win of the #PNP Responders. At an earlier game, the Judiciary Magis took home the 3rd place for the UNTV Cup Season 2 beating the MMDA Blackwolves, 84-81. Securing the 3rd place in the run for the UNTV Cup Season 2 championship, the Judiciary Magis prevail against the MMDA Blackwolves with a score of 84-81. The Magis prize of P250,000.00 and P150,000.00 of the Blackwolves would benefit their chosen charities. UNTV Cup Game 2 will be held at the Smart Araneta Coliseum at July 1, 2014. (Tuesday 5 p.m.) Expect an exciting game with the PNP Responders against the AFP Cavaliers. The Solons team from the House of Representative and the Senate Defenders would play for the opening game. UNTV Cup, Ito ang Bagong Game Ko! 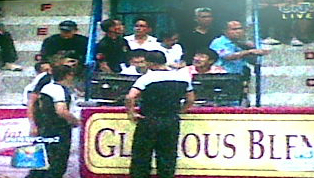 Pasig City, Philippines — PNP Responders at the finals. 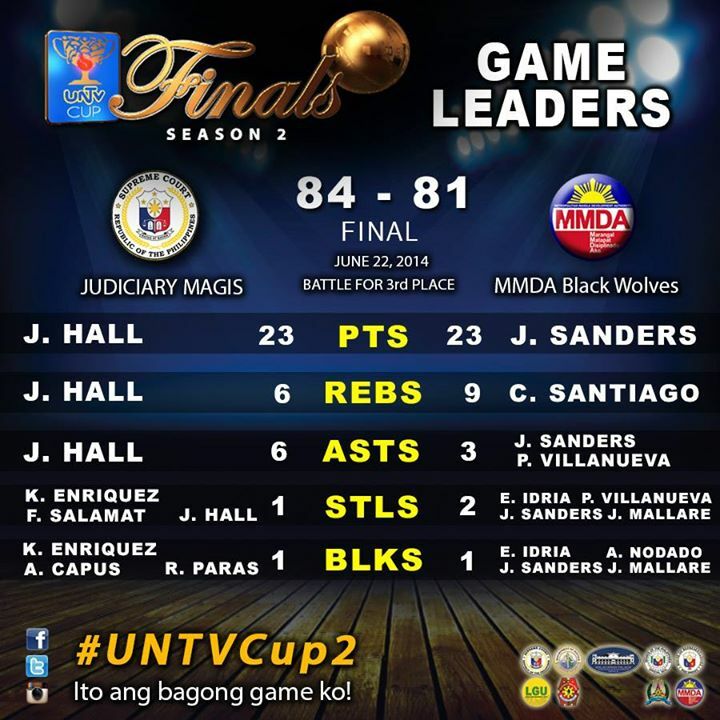 On June 15, 2014, Sunday afternoon, fans of both MMDA and PNP eagerly awaited and anticipated the knockout games of #UNTV Cup Season 2 Finals at the Ynares Sports Complex. PNP ‘s energy shook the Blackwolves taking advantage to the unforced errors of the MMDA Blackwolves at an early fight. 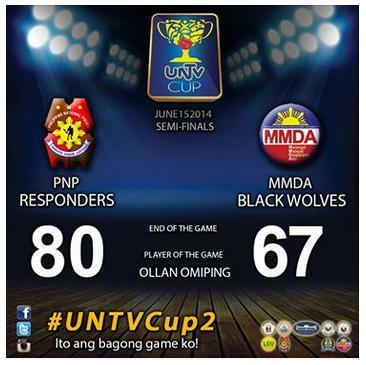 PNP lead throughout the game and after the 3rd quarter, the Responders’ 9 point lead prevails against the Blackwolves. Ollan Omiping took two difficult shots at the first quarter fast break offense. A 36-17 in favor of PNP. The second quarter offensive rebound of Omiping is a major factor for MMDA’s most turnovers. 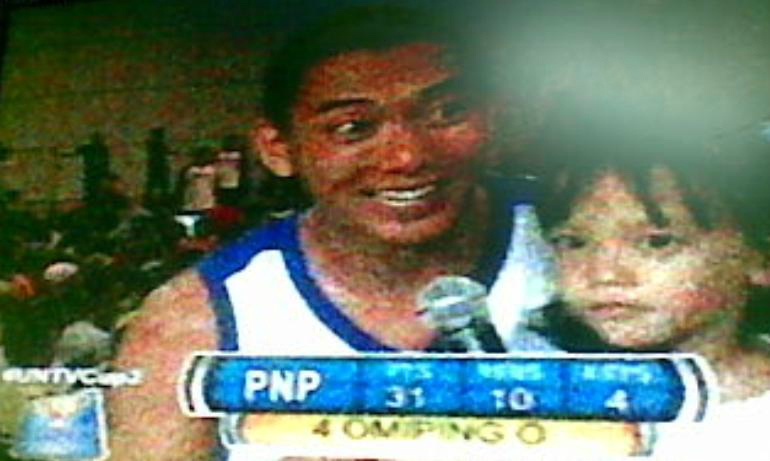 MVP Ollan ‘the Sniper’ Omiping is the best player of the game. The second half had been a running game for the MMDA Black Wolves down with a 17 point lead against the Responders . 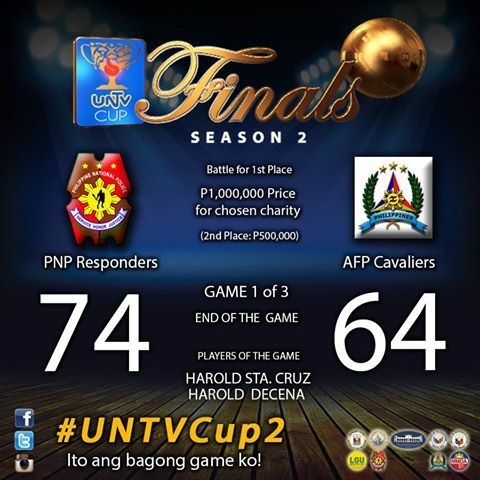 The PNP Responders dominated and ending the game with a 13 point lead. Ollan Omiping blasted another 3 point shot with a dance. With a total of 31 points and 4 assist, Omiping lead the Responders. Harold Sta. Cruz with 14 rebounds and 4 steals and Jay Mann Misola with 3 blocks respectively. The second season of the UNTV Cup, PNP Responders had chosen PNP Special Educational Assistance Program as their beneficiary. According to PSSupt. Tomas Colet Apolinario, Chief Morale and Welfare Division, by giving financial assistance to their 465 students (scholars) as beneficiaries, this would help these less fortunate to continue their studies for the betterment of the families left by the policemen at duty. The close game between the Cavaliers and the Magistrates had made the bench of both teams hardly sat on because of the head to head fight. The second quarter finishes off with a 38-36 score in favor of the AFP Cavaliers. On the 3rd half, Don Camaso was ejected with 2 technical fouls. This would mean an ejection of a player to a game. The 3rd quarter left a 1-point lead of the Judiciary against the Magis. With seconds away from the end game, a turnover by the Magistrates as the Cavaliers pressed pressure. The tight game between two teams resulted a collision between Don Camaso of the Judiciary Magis against Alvin Zuniga of the AFP Cavaliers. 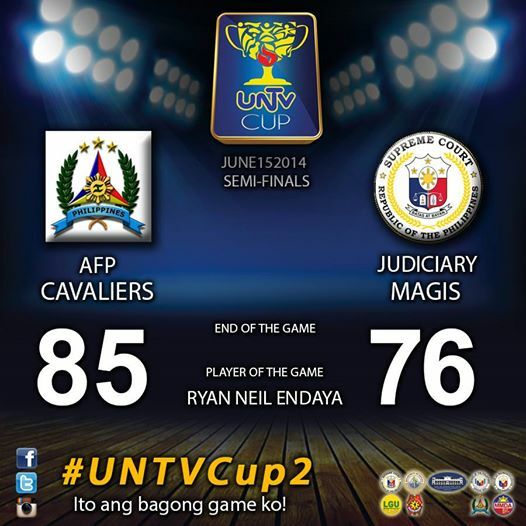 The top players headed by the AFP Cavaliers’ Rolando Pascual with 24 points and 12 rebounds, 2 blocks and 2 steals. Eugene Tan with 8 assists and Alvin Zuniga with 2 steals. 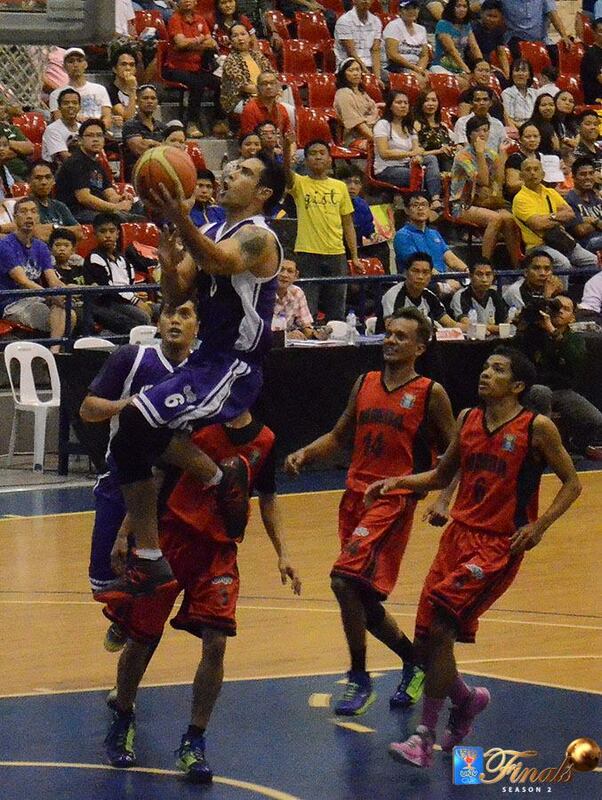 With the Judiciary Magis, Don Camaso scored 22 points, 12 rebounds and 1 block. Julius Caesar Rabino with 2 assists and 3 steals and F. Salamat with 3 assists. This is a do or die game more than what the audience expected. A close game fight vie for the finals night to be held at the Smart Araneta Coliseum. The AFP Cavaliers’ beneficiary AFPEBSO (Armed Forces of the Philippines Educational Benefit System Office ) fulfilling its slogan, “Leaving No Soldiers’ Orphan Behind. Mr. Public Service Kuya Daniel Razon took time to watch this close fight game. 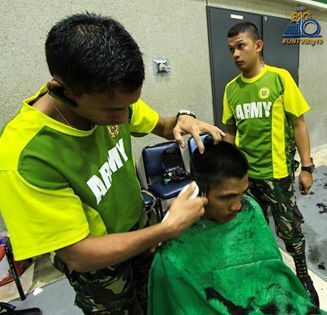 AFP Cavaliers will be facing the PNP Responders in the best of 3 championship games. Expect the best of the best games at the finals.